I recently began receiving a presumptive benefit check from the Social Security Administration. I’m applying for SSI and they are paying me on a monthly basis until they make a decision on my case. If they approve my case, I’ll simply continue to receive benefits. If they deny my case, the payments will stop. I received the check here at the drug rehab program I'm currently living in and the director and assistant director called me into the office. The director asked to see my benefits approval letter from Social Security so I obliged by going upstairs to my room to fetch the letter. After she read the letter she advised me that I had to pay back rent at the rate of $260 a month for 3 months. I moved in here on July 8th and I wasn't required to pay rent because I didn't have an income. But I signed a document that stated I would pay back rent in the event I began receiving benefits. presumptive benefit to be income. And that I'd pay only September's rent. We went back and forth until finally, the assistant director asked me if I'd be willing to pay the rent for August and September. I agreed and saved myself more than $200. My reasoning for not wanting to pay back rent was that I'll receive checks for only 3 or 4 months since Social Security almost always denies everyone the first time they apply. I think the assistant director finally offered a concession because the director threatened to kick me out of the program if I didn't pay rent. She said, "How about if you don't pay any rent and leave the program right now." Of course I wasn't going to leave. I have to stay here until I get housing. I would be incredibly stupid if I abandoned treatment now because I have only 30 more days to go before I complete the required 90 days. 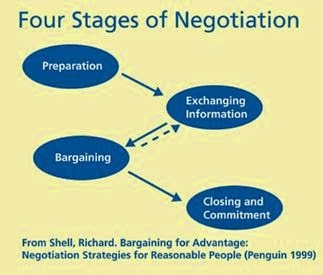 At any rate, I learned that everything is negotiable. The truth is that I had to pay the entire three months of rent. But because I began negotiating with management, I was able to get a discount and save money.